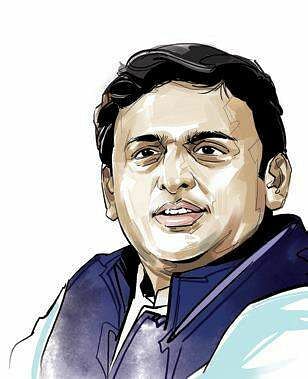 The SP and BSP have been in talks for weeks for going together in the general elections that are scheduled for May. LUCKNOW: Bahujan Samaj Party (BSP) chief Mayawati and Samajwadi Party (SP) chief Akhilesh Yadav joined hands burying their two-and-a-half decade political quarrels on Saturday, to announce a grand alliance which they said was fashioned to take on the BJP in the upcoming Lok Sabha elections and would last well beyond the 2022 Assembly polls in UP. Sharing 76 of the 80 seats possible-allocating 38 each to themselves and leaving Amethi and Rae Bareili to the Gandhi family, the allies, however, left the Congress out of the alliance while putting on hold two seats for prospective allies. 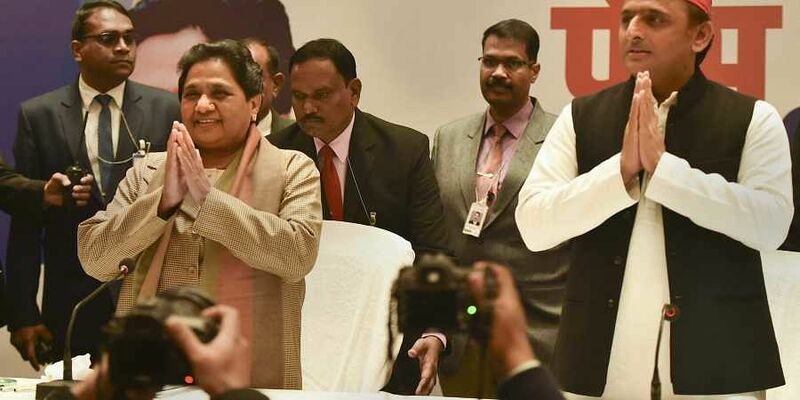 Addressing the joint press conference along with Akhilesh, BSP chief Mayawati said the SP-BSP alliance was set to give sleepless nights to both guru (teacher) PM Narendra Modi and his chela (follower) BJP chief Amit Shah. Calling the SP-BSP alliance ‘a strong message’ and proclamation of intent of a political revolution at hand, Mayawati explained the reason for Congress’ exclusion. “Congress has never benefited anyone; neither is it popular with people. It’s also tainted with defence scams, much like the BJP, while its ability to transfer votes is suspect. We cannot ally with parties which hurt our prospects and ambitions. Moreover, Congress remains as much an exploiter of people like the BJP is.” SP Chief Akhilesh Yadav said alliance was imperative to stop the BJP. Her pain surfaced twice while announcing the alliance with the SP on Saturday recalling the June 2, 1993 guest house episode. But BSP chief Mayawati said, she had to leave it behind in the interest of the nation. In 1993, the SP-BSP combined to win 176 of the 425 seats against BJP’s 176 and Kanshi Ram helped SP Chief Mulayam Singh Yadav win a second term with Congress and Lok Dal support. A clash of egos complicated the tieup subsequently leading to its collapse in 1995. On June 2, 1995, Mayawati announced withdrawal of support reducing the Mulayam government to a minority and was addressing BSP workers at a guest house in Lucknow when SP men barged in and misbehaved with her. She locked herself in a room. Senior BJP leader Brahm Dutt Dwivedi rushed to the state guest house and rescued her. The BJP later lent support to the BSP making Mayawati the first Dalit chief minister of UP.